All Track Exterminators want the summer of 2017, for you and your pet to be pest free of infection and infestations. As you know insect can breed and some much faster than others. I was wondering if you knew how easy it is for your favorite family animal to spread infections? Is it possible for your bundle of joy to spread germs that can come from the ones we love? It may seem like a harmless display of affection, but allowing your pet to kiss you could be dangerous or even fatal. I found this article it to be really intreating, check it out. Who doesn’t let their dog give them a slobbery kiss? Most of the time it doesn’t matter until it does. Your dog may be part of your family, but the bacteria in its mouth are different from those in yours. As John Oxford, emeritus professor of virology and bacteriology at Queen Mary University London, recently told the Hippocratic Post, dogs spend half their life with their noses in nasty corners or hovering over dog droppings, so their muzzles are full of bacteria, viruses, and germs of all sorts. Mostly, despite these bugs being unknown to our immune systems, we avoid getting sick. But there are bacteria in dogs (and cats) mouths that are zoonotic, that is, they can cause diseases in humans. They include clostridium, E coli and campylobacter, which cause gastroenteritis. Pasteurella multocida, a dog’s normal mouth bacterium, was blamed for meningitis in 42 infants in France under the age of four between 2001 and 2011. Nearly half the babies were newborn, and most were infected as a result of dogs or cats licking them. Four died. The authors of the paper suggest that contact between infants and pets should be reduced. 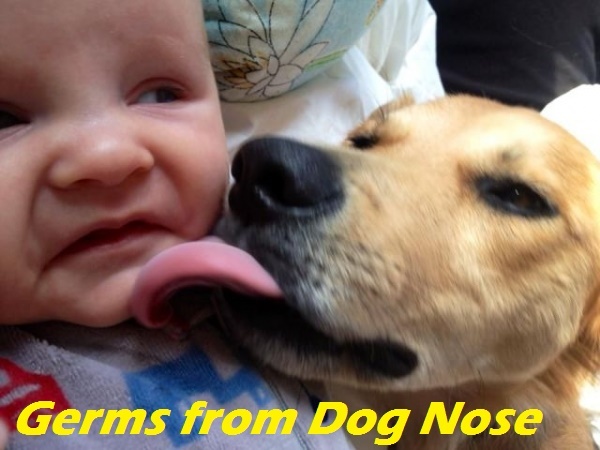 A letter in the Canadian Vet Journal in 1989 suggested that there is usually no harm from smooching your dog, but then lists a comprehensive set of risks warning that the thin mucous membrane lining our mouths, noses and eyes is no match for canine bacteria. There are cases of dogs spreading Haemophilus aphrophilus to humans, causing brain abscesses and inflammation of the heart and grossest of all tapeworm infection (Dipylidium caninum), mostly from children swallowing infected flea remnants from a dog’s mouth as a result of being licked. Finally, in a BMJ case report, this year was the terrifying tale of a 70-year-old woman, found slumped in her chair, who nearly died from septicaemia. The cause? Capnocytophaga canimorsus, a bacterium from her dog. There was no evidence of scratches or bites the bacteria probably got in through a loving lick. However, it is rare to get an infection from a dog lick. Bruno Chomel, professor of population health and reproduction in veterinary medicine at the University of California, Davis, says: Overall, it is not great to get licked on the face and over any kind of wound. Immunocompromised people, elderly people and young children should prevent such exposure. When asked how much of a risk it really is, he points to a study in the Lancet of a man with a perforated ear drum whose dog licked his ear and gave him meningitis. Like everything, he says, it hurts when it happens. So maybe keep the licks below the neck, on unbroken skin and stick to air kisses. 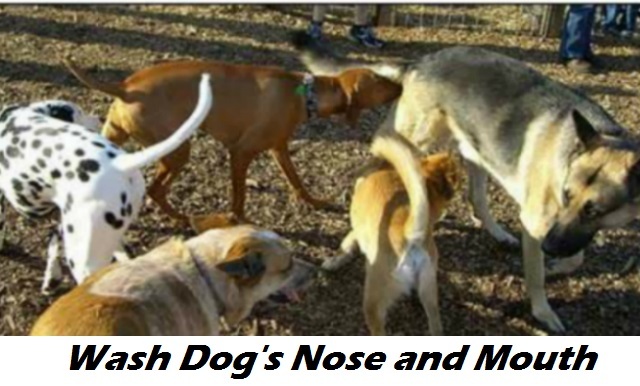 Another safe practice would be to routinly wash around the muzzel of your pest’s nose and with a mild soap and water after an outing to the pet park. Pratice at home after letting your buddy out to do their business out back. To be sure they didn’t nuzzel something outside you didn’t see. Yucky! I am a pet lover as well. From children to our elders and even our pets. Pest Control in Pasadena Ca, is really to protecting the environment we all share space with our families. If your property has issues with insect and pest it will easy spread to indoors by way of your family pet. It will only take one problem infestation before you then make a choose to just keep a regular service for pest and insects or try to deal with it yourself.